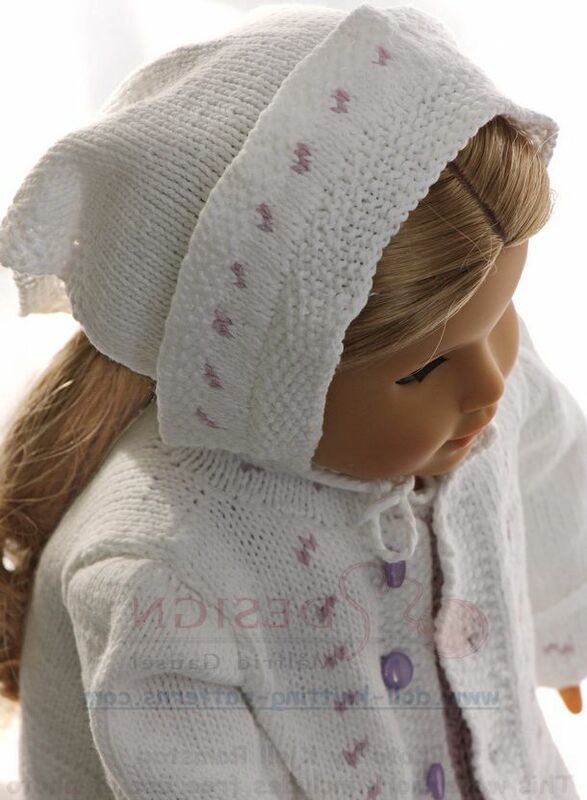 This year (2016), once a month, we are going to dress our doll Sophia with a new garment. 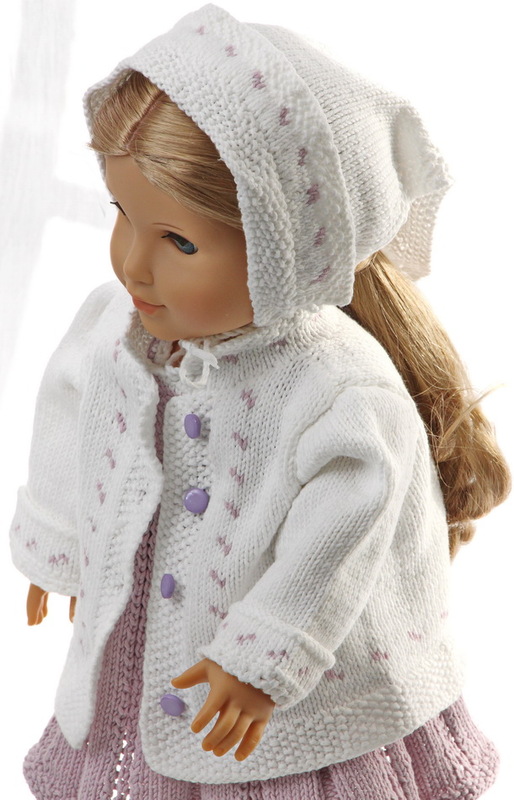 This time I have knitted a beautiful summer garment for my doll Sophia. 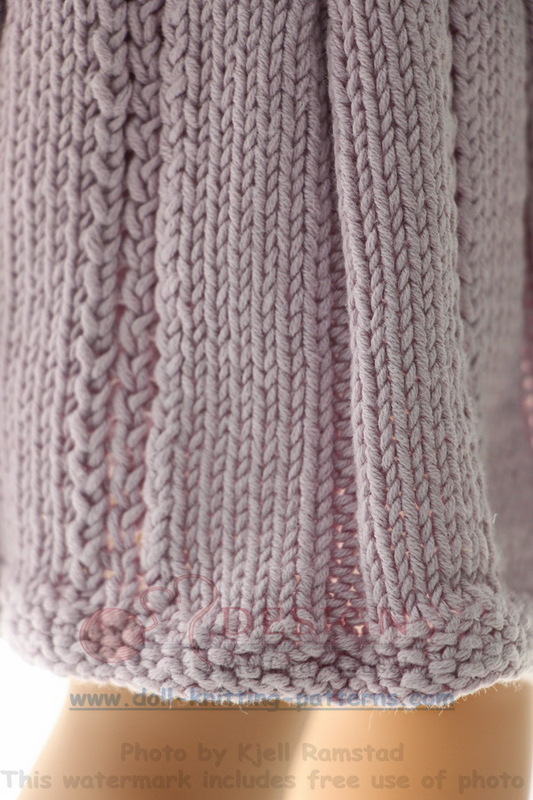 I knitted these clothes in lilac and white cotton yarn. It has the same tension as any 3-ply wool. 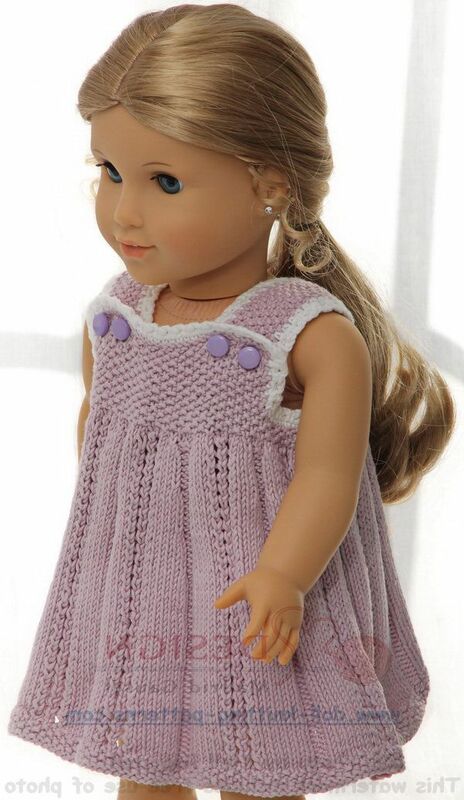 First, I knitted this beautiful summer dress. The dress is buttoned along the front of the yoke. Along the center of the “folds/fields ? I have knitted a little pattern. 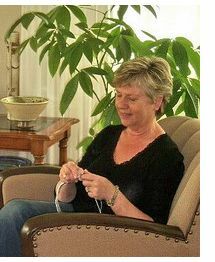 Round all edges of the yoke, I have knitted white edges. The doll Sophia looked very nice dressed in the dress. Along the folded edge, it has a little crocheted edge. 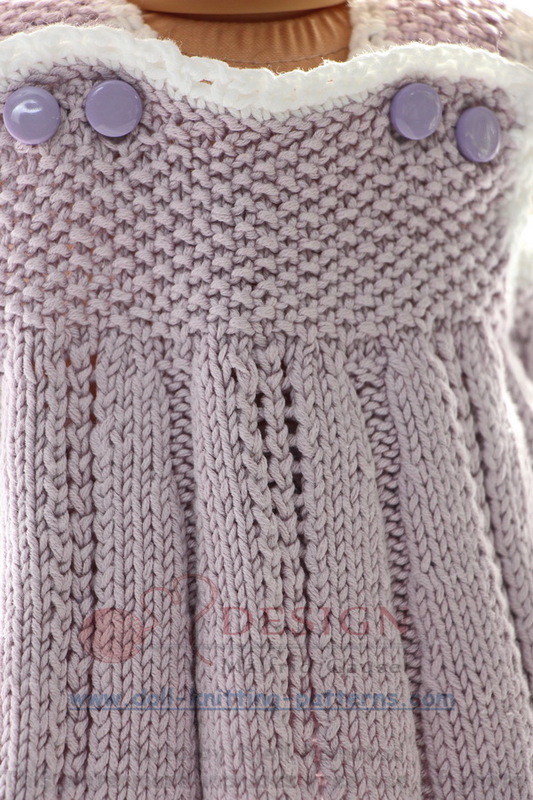 The jacket had small lilac buttons along the front band. 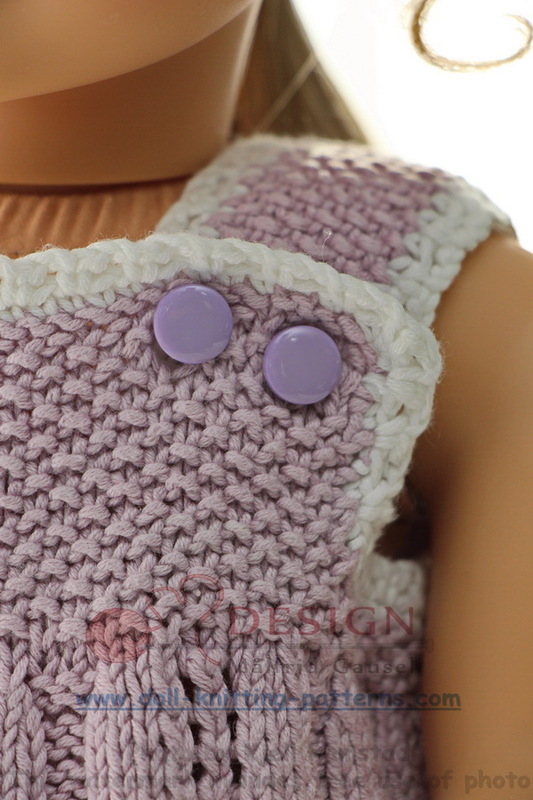 The jacket is a little wide and to pick up the color from the dress it has a little lilac pattern. The end of the sleeves are folded. A lovely summer jacket had to be knitted to this dress. 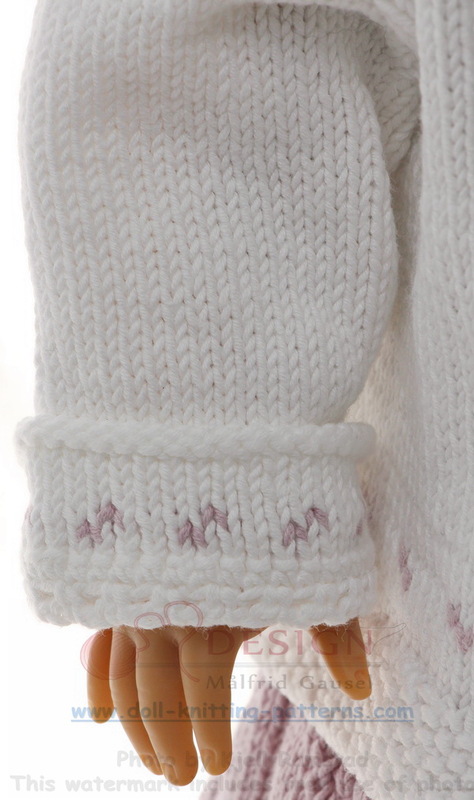 All clothes here have edges knitted in moss stitch. So has this jacket. A headscarf is always nice for beautiful summer days. At the beginning of knitting the headscarf before knitting st st I knitted a row st st to get garter sts at the right side. From this row, I have knitted up sts inside edge sts and knitted a cute little edge. This edge has more sts and a little pattern like pattern for the jacket. 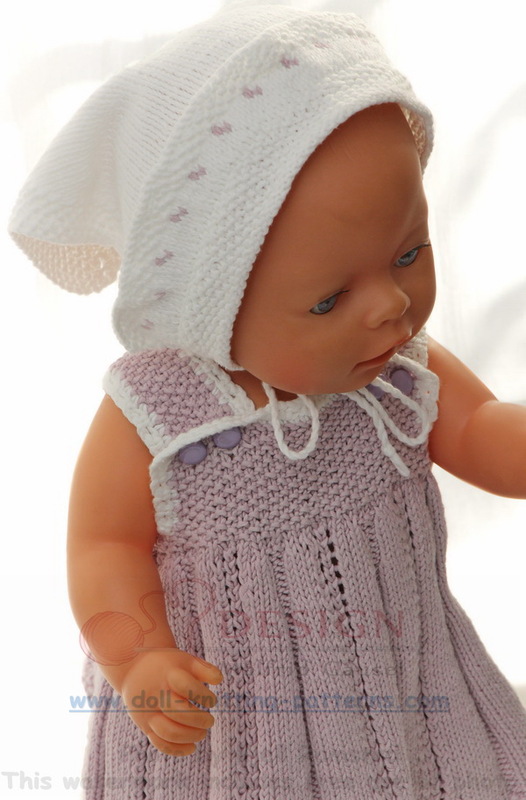 Then I knitted a lilac pants for my doll. I made a chord and pulled through the eyelets round the waist. At last Sophia had to get a pair of shoes. The shoes are white and knitted in moss sts. They have a lilac ridge round the sole and are buttoned round the ankles. 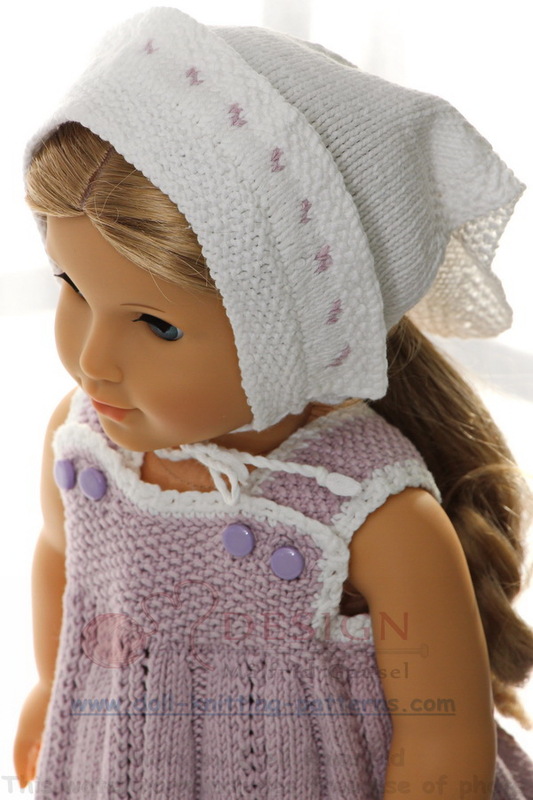 A lovely summer garment for my doll Sophia. 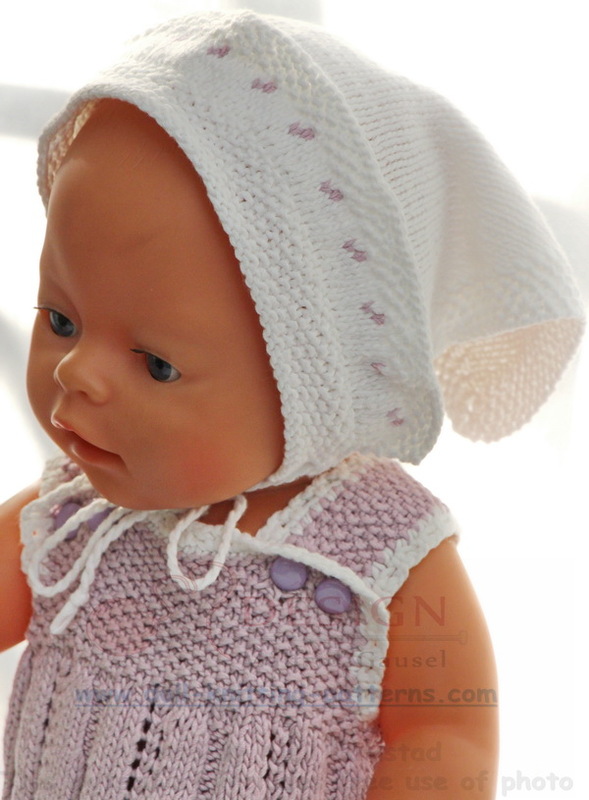 I hope you too will like it and want to knit it for your doll! 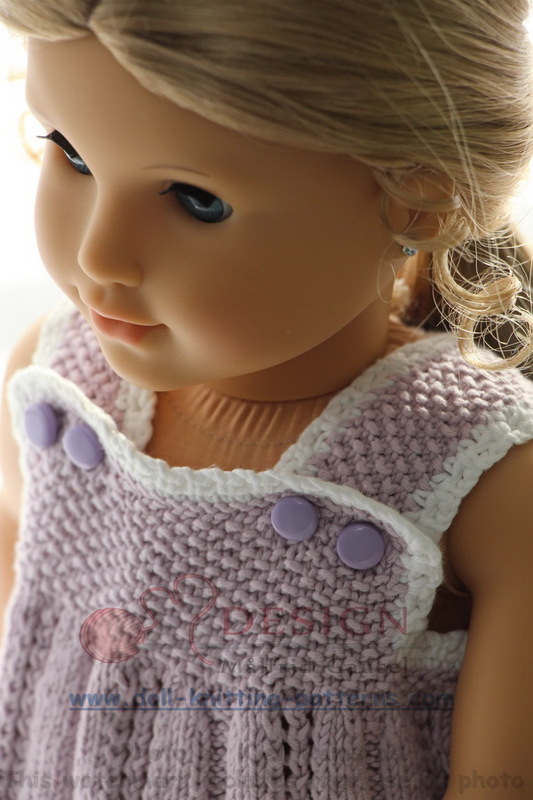 What do you think about the doll knitting pattern above. Leave your comment to me in the box below.